Very Easy picture replacement through smart object. Pictures on the preview are not included in the main file. Pictures: Double click on the smart object layer “Double click to edit”, place your picture on the new opened window and save. 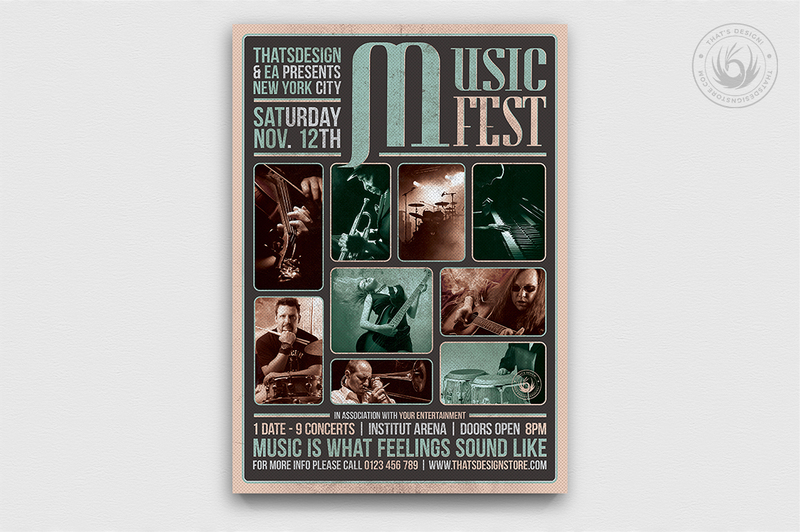 Check out this Music Festival Flyer Template psd vol.2 designed to promote an Indie Rock Band, Concert, Electro, Dubstep, Alternative, Pop, Urban music band event. 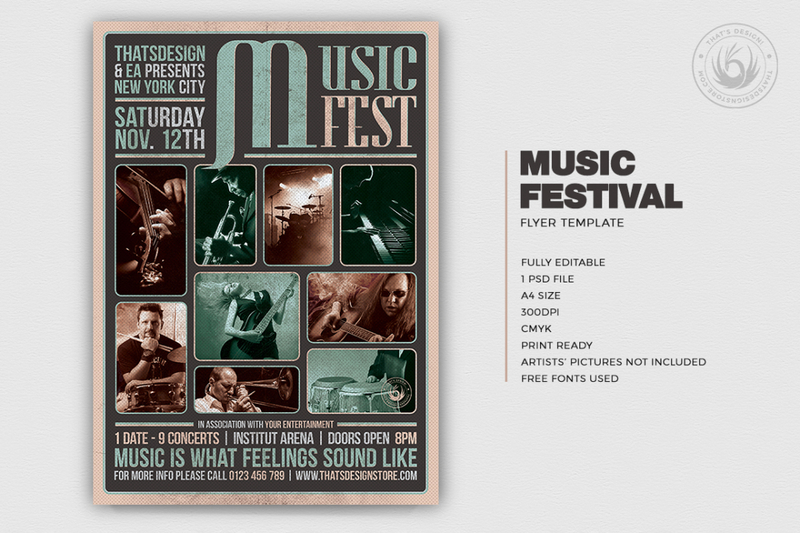 Customize your Photoshop Concert psd flyer template easily.